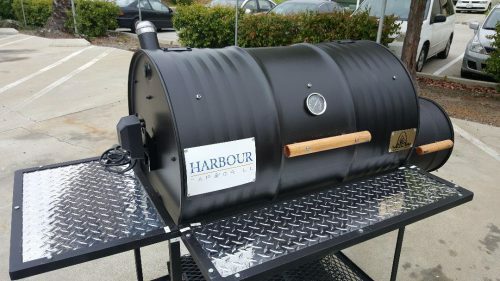 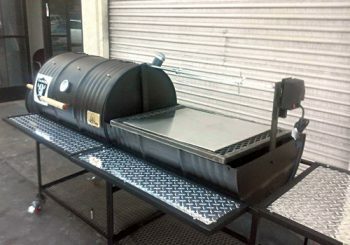 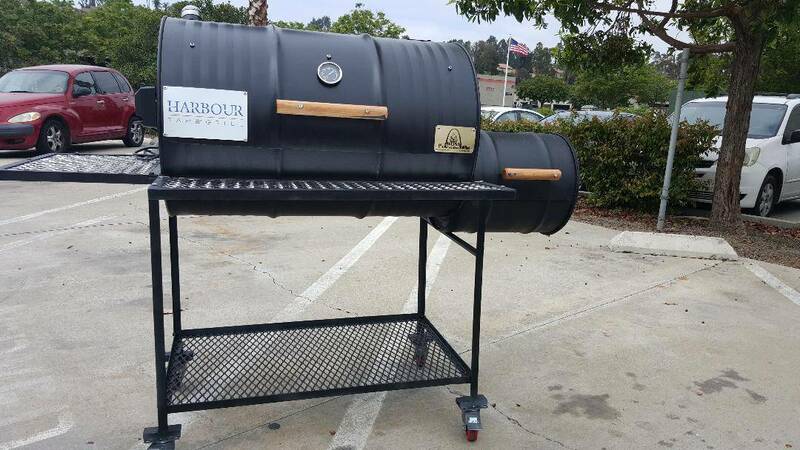 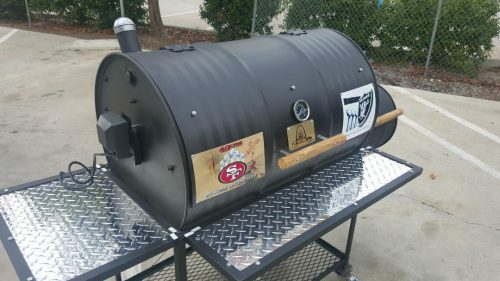 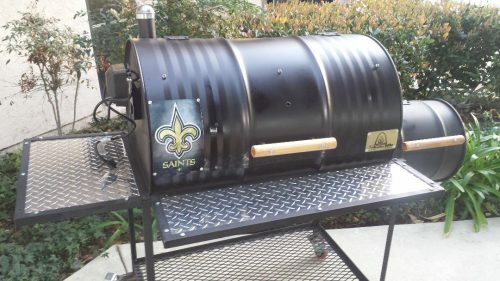 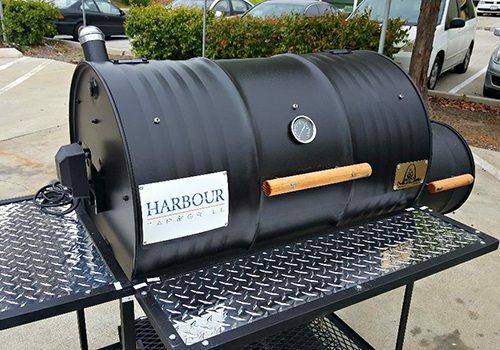 Single Barrel Smoker Grill with an offset firebox, the unit has a damper to control the airflow from the firebox to the 55 gallon barrel this unit is painted with a high temp paint that has a smoke stack opposite of the firebox with a cap, sliding cooking grates, rotisserie unit, charcoal pan, (2) diamond plates table counter tops, bottom storage racks, 4 caster locking wheels unit comes with a logo of your choice. 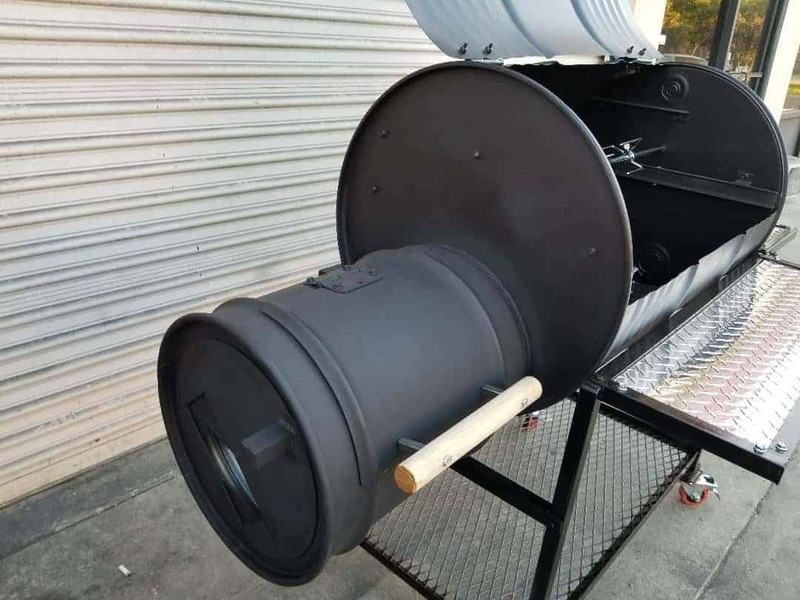 This unit can also be equipped with a reverse flow system. 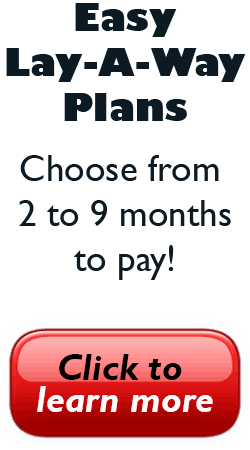 Additional fees will be required for Reverse Flow System. Please call for details. 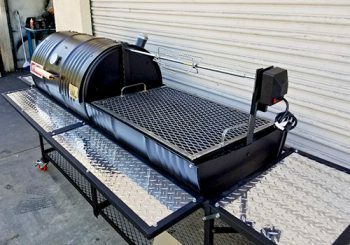 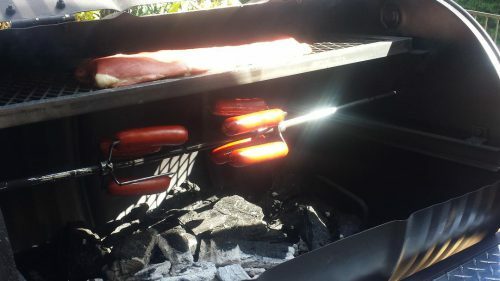 This Single Barrel Grill offers the ease of slide out cooking grates to accompany a motorized rotisserie. 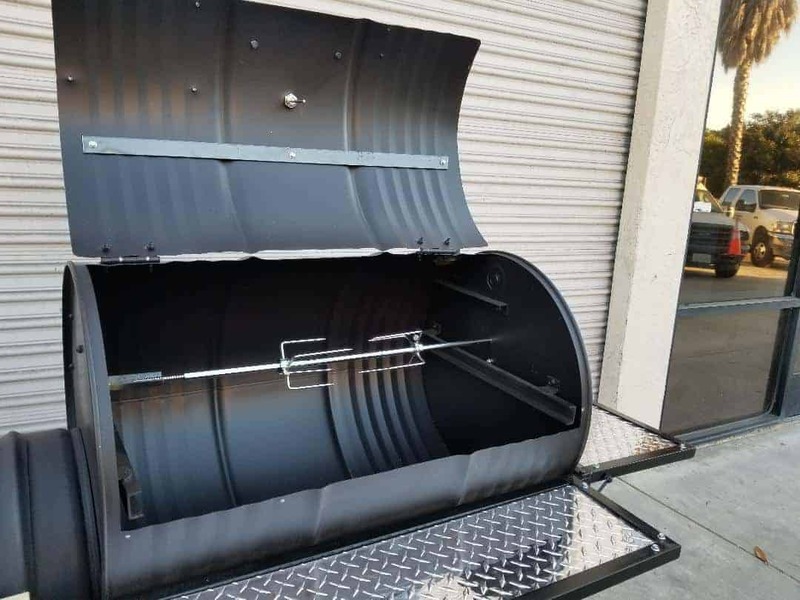 It also offers a unique diamond plate table and comes with a metal frame and under grill storage.